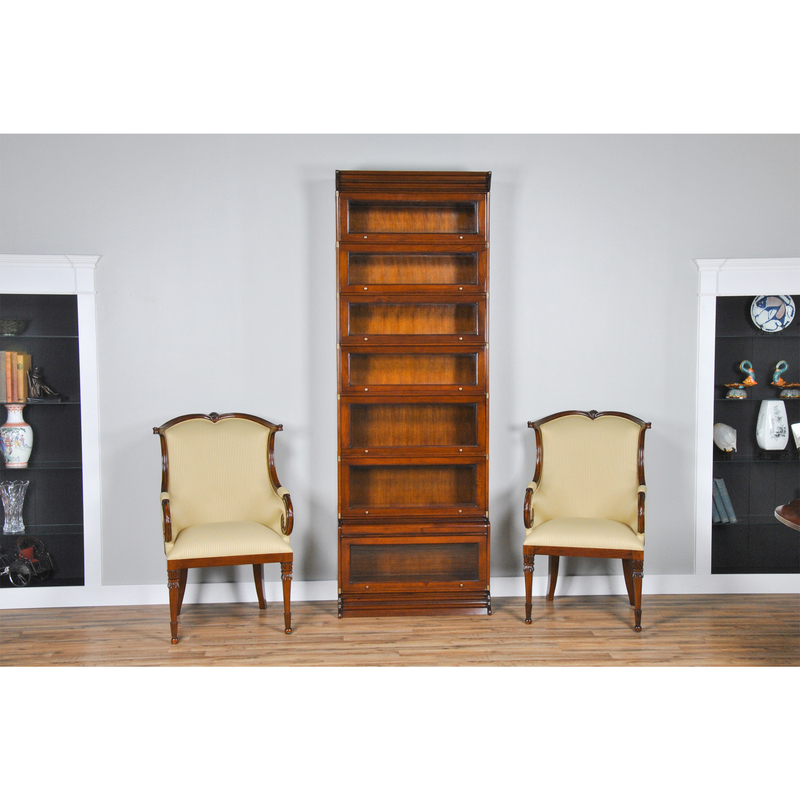 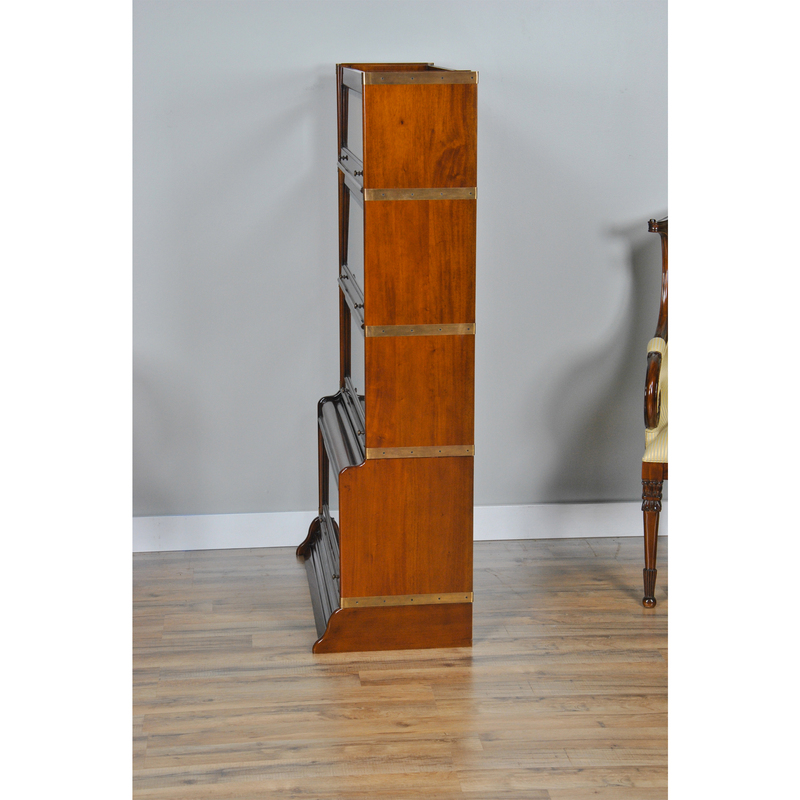 The Niagara Furniture version of a Tall Stacking Bookcase. 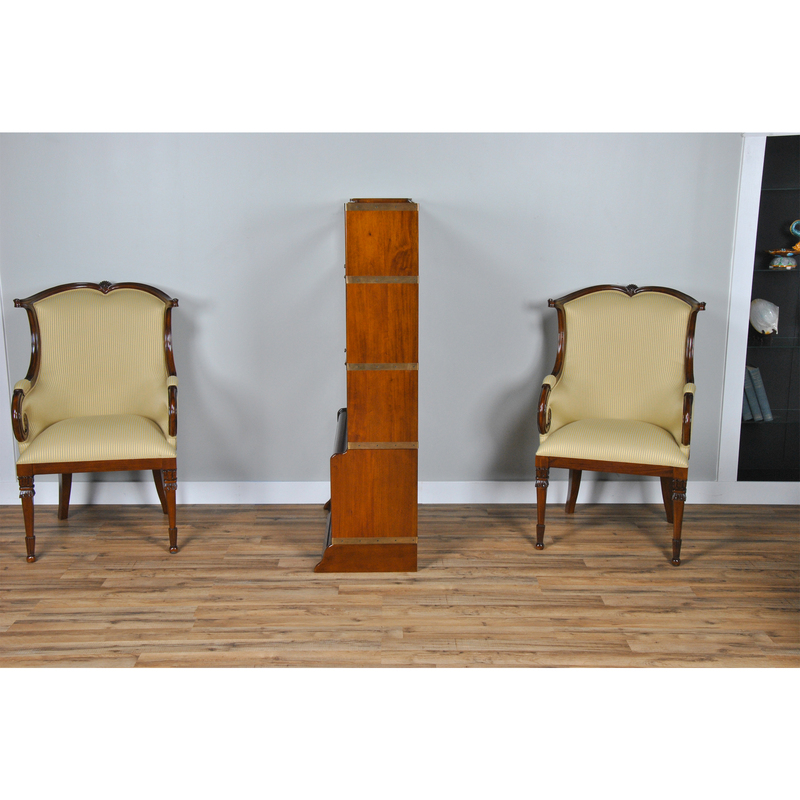 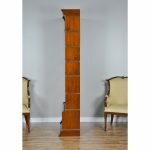 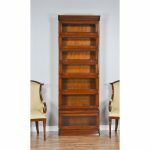 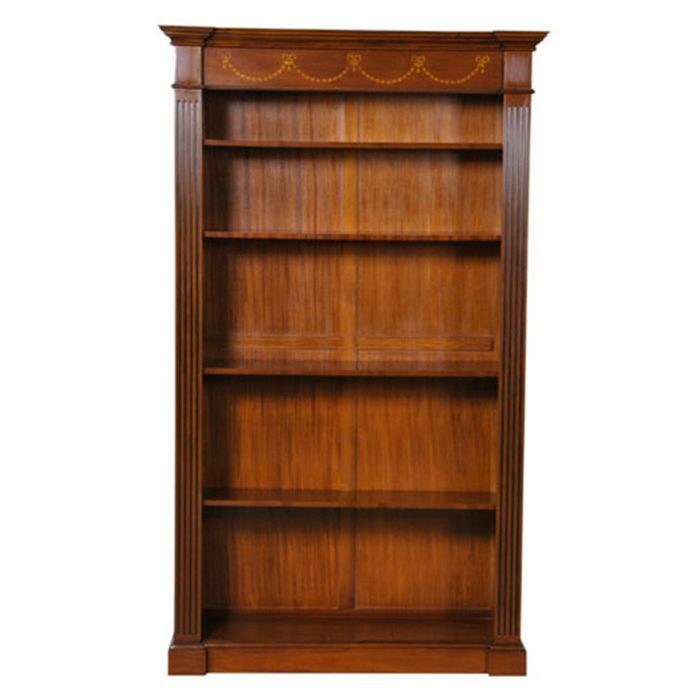 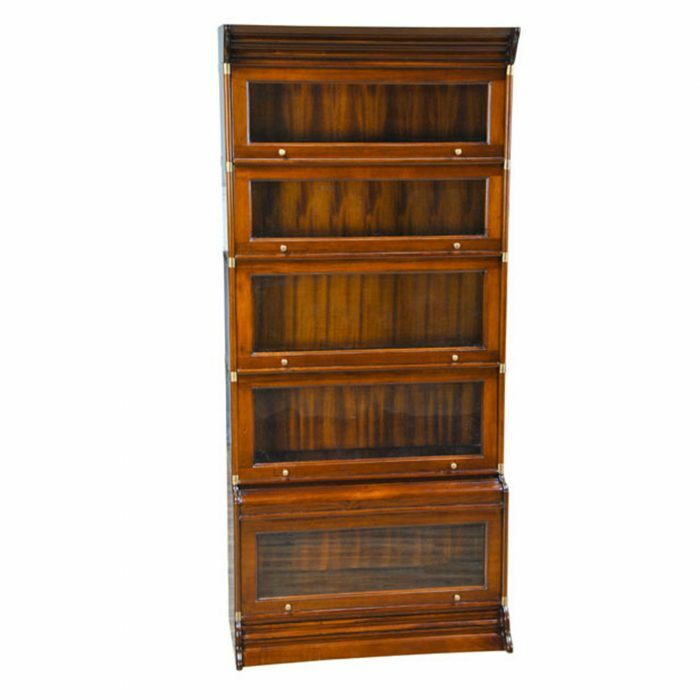 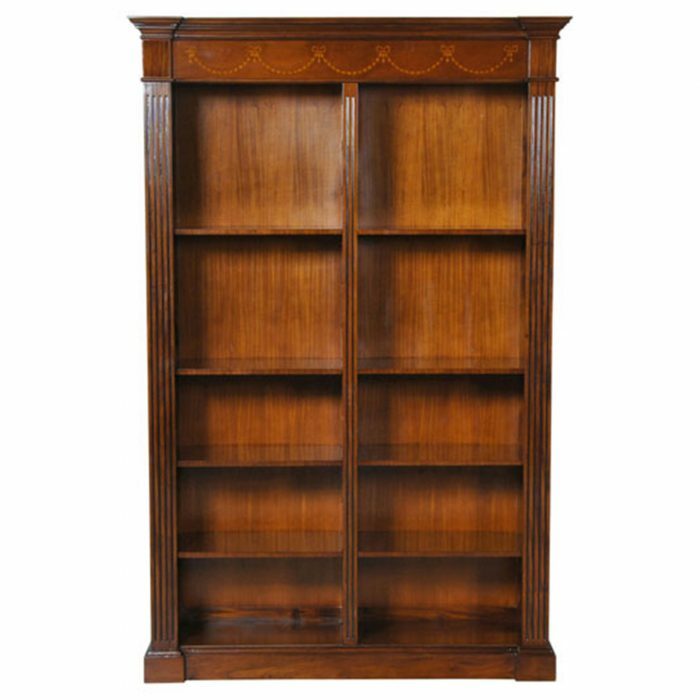 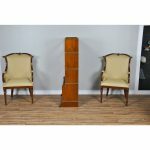 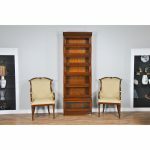 An excellent quality mahogany stacking bookcase consists of nine separate pieces: a cap, a base and seven glass sections. 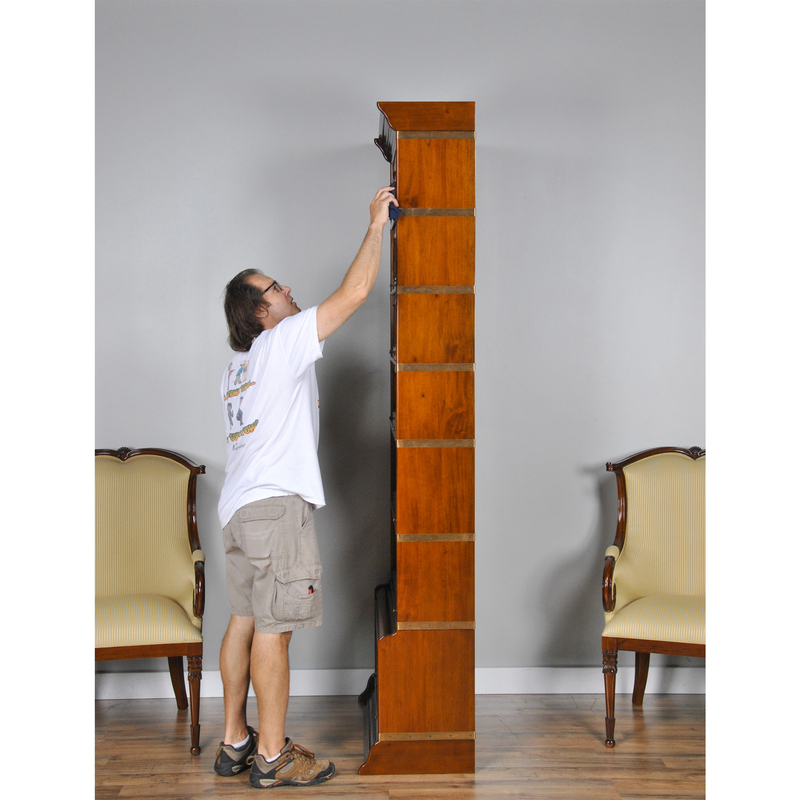 The oversized atlas sized base section is a real bonus for all the larger texts in your collection. 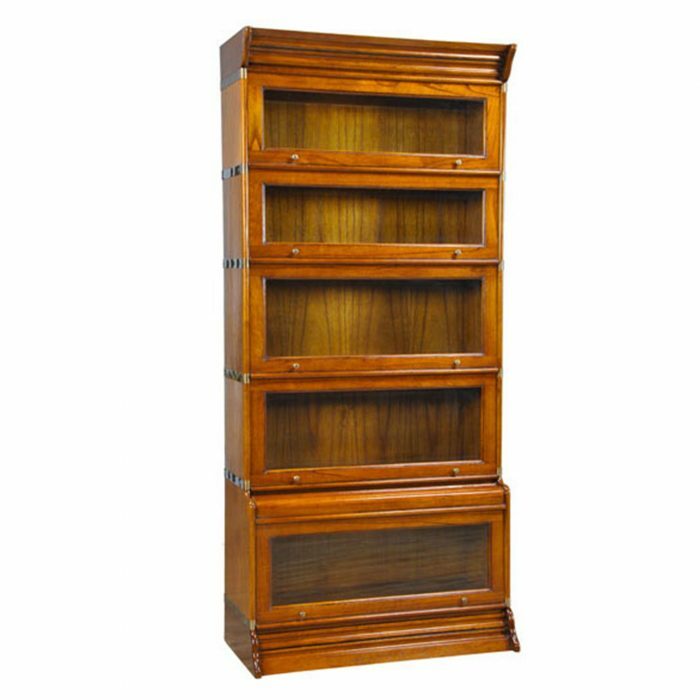 The next 2 stacking sections will accommodate larger books as well and the top four sections hold paperbacks and smaller size books. 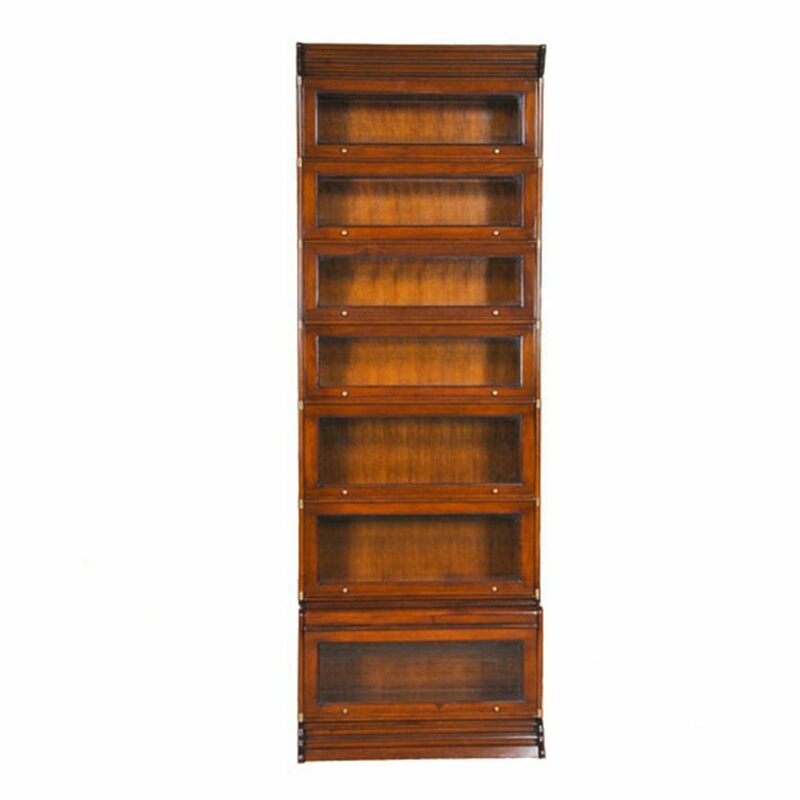 Each section has a glass front door which lifts up and slides back for easy access to your books, this feature helps to keep your books dust free. 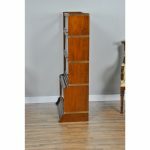 The side of each section is fitted with a brass strap which gives the overall piece a finished and refined appearance. 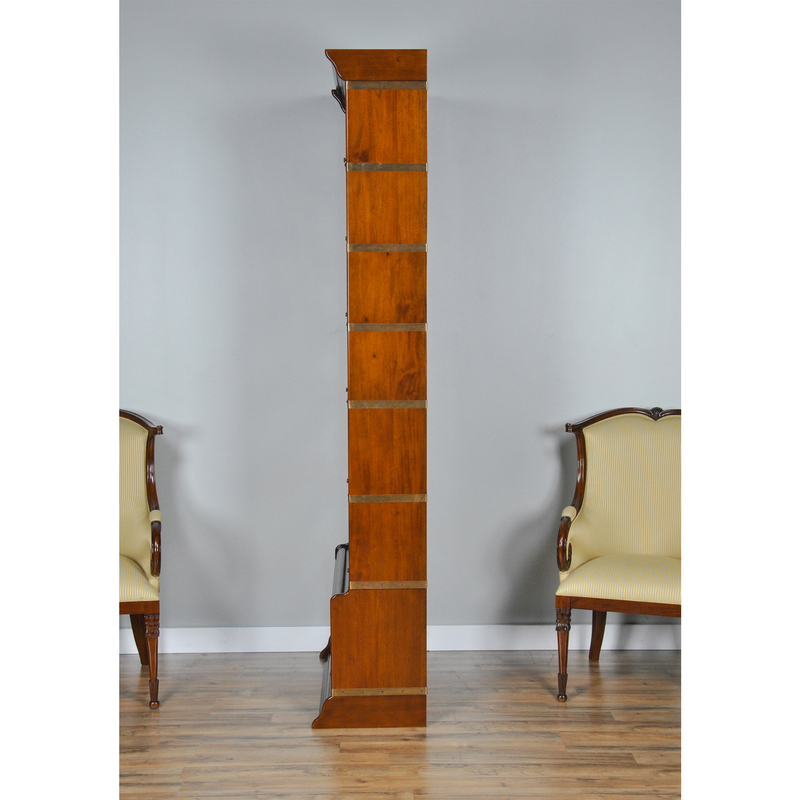 The tall stacking bookcase fits into most homes, please check your ceiling height before ordering!